The Lake District, also known as the Lakes or Lakeland, is a mountainous region in North West England. The Lake District is by far the UK’s most popular national park. 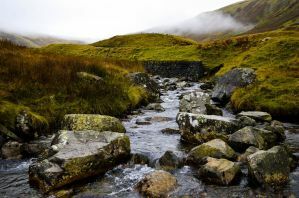 Every year, some 15 million people pitch up to explore the region’s fells and countryside and it’s not hard to see why. Ever since the Romantic poets arrived in the 19th century, its postcard panorama of craggy hilltops, mountain tarns and glittering lakes has been stirring the imaginations of visitors. It’s awash with outdoor opportunities, from lake cruises to mountain walks, but many people visit for the region’s literary connections: among the many writers who found inspiration here are William Wordsworth, Samuel Taylor Coleridge, Arthur Ransome and, of course, Beatrix Potter, a lifelong lover of the Lakes, whose 150th birthday was celebrated across the national park in 2016. From the top of Scafell Pike it&apos;s easy to see how Cumbria&apos;s lakes captivated William Wordsworth and Beatrix Potter. Visit the Lake District National Park for sights like no other. Take it all in on a traditional steamboat chugging through tranquil lakes, or scale the highest mountains England has to offer and enjoy a jaw-dropping view. If tranquility isn&apos;t enough for you, then why not race through the Lake District on a mountain bike or enjoy the scenery from the middle of one of England&apos;s fastest growing music festivals, Kendal Calling. You may as well sample some of the town&apos;s famous Kendal Mint Cake while you&apos;re there too. There&apos;s plenty to do here, and these hostels provide an excellent base for exploring the area. Ambleside is fast becoming the adventure capital of Cumbria, right in the heart of the scenic Lake District. It&apos;s perfect for walking, watersports, mountain biking, climbing and other outdoor activities. 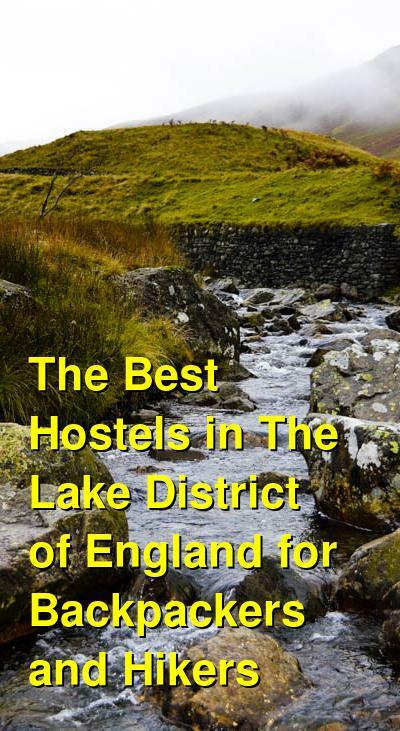 The hostel boasts a commanding location on the shores of Lake Windermere with breathtaking views over the lake, the Langdale Pikes and surrounding mountains. The hostel has a modern and cozy restaurant serving good food and local ales as well as fully refurbished self-catering facilities. Bedrooms at YHA Ambleside are across three floors, please be aware that there is no lift in the hostel. YHA Ambleside has one ground floor accessible room which can only be booked by calling the hostel directly. Free parking, Wi-Fi, and linen are included and towels and bicycles are available for hire. Kendal Hostel is an attractive Georgian townhouse in the historic market town of Kendal. The hostel is situated in front of the well-known Brewery Arts Centre with the front of the hostel leading onto Highgate that is only 300 yards from Kendal town center. Kendal hostel has 13 rooms available that can cater for individuals, groups, couples, and families as well as the hostel being available to hire for private use and functions. These 13 rooms can accommodate up to 68 guests per night and they range from 2-14 guests per room. Some of the rooms include double beds and also private bathrooms. As the Hostel is self-catering guests are welcome to use the kitchen, living room, dining room, and wash facilities and drying room. They also have a secure bike shed that guests are welcome to use free of charge. Breakfast is available at the hostel, and they have 2 options for breakfast; Simple Breakfast (Light Option) includes Cereals, Bread, Jams and Preserves, Fruit, Fruit Juice, Tea and Coffee (available everyday) and the Full Breakfast Option includes all of the above plus a cooked English breakfast (available on request or by prior arrangement). Due to the town center location there is plenty of different options for eating out including English Food, Chinese, Italian, Indian, Thai, and so on. The hostel is very easily accessible by public transport. Kendal has its own train station which is around 15 min walk from the hostel and there is also Oxenholme The Lake District train station which is around 25 min walk to the hostel. The National Express bus also stops in Kendal on a daily basis and is only 10 min walk from the hostel. As the hostel is situated on the edge of the Lake District they have excellent transport links to and from the popular destinations of Windermere, Ambleside, Grasmere, and also Keswick. The 555 bus runs every 30 mins during the day from Kendal. Free Wi-Fi and linens are included and towels are available for hire. The Lake District Backpackers has private rooms that can take up to 3 people (double bed and single above). They have a common room for guests to enjoy with board games and a book exchange. They also offer self-catering facilities for food preparation. Bicycles and towels are available for hire and there is a safe deposit box and security lockers available. Free breakfast, Wi-Fi, and linens are included with your stay. YHA Keswick’s superb location on the banks of the river Greta is only minutes from the vibrant town center. You’ll have easy access to walking, climbing, road and mountain biking, water sports, and plenty of cultural attractions too. Guests now have access to the new self-catering kitchen, however there is no additional social space during refurbishment. Combine the great outdoors and walking to your heart’s content with a wealth of evening entertainment. Popular YHA Keswick overlooks the river towards the mountains and is minutes from the town’s amenities. Try local water sports, hire mountain bikes and if the weather’s against you, visit the leisure center, or the indoor climbing wall. Free Wi-Fi and linen are included. The hostel is a beautiful Regency mansion with stunning grounds overlooking Esthwaite Water. This is a great base to explore the beautiful village of Hawkshead, Beatrix Potters Hill Top, Grizedale Forest, and the southern fells. Family-friendly and in a glorious setting, this grade II listed Regency style building overlooks tranquil Esthwaite Water. Great for walking and cycling, nearby Grizedale Forest also offers some of the country&apos;s best mountain-biking. Enjoy good food and local ales in the hostels comfortable restaurant. The rooms are in two buildings, one of which has 24 hour access once check-in has been completed. Free parking, Wi-Fi, and linen are included and towels are available for hire.